With EnviroGreen's waste oil collection services, you now have an environmentally friendly, as well as wallet friendly, method to dispose of your waste cooking and fryer oil. 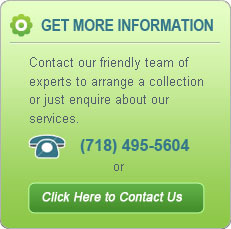 EnviroGreen is a top-quality waste cooking oil collection service serving New York City and Nassau County. You can have a positive impact on the environment simply by calling us and scheduling a pick up at any time or setting up a convenient waste oil pick-up service schedule for dependable cooking oil disposal without the hassle. Over 3000 restaurants in the five boroughs of New York City have made a commitment to donate their used cooking oil to be recycled into biodiesel while simultaneously ridding their commercial kitchens of excess waste oil. By calling Envirogreen and scheduling waste oil pick-up services, you can effectively "kill two birds with one stone" by ridding yourself of excess grease and used fryer oil as well as contributing to cleaner air and a healthier environment for all of us. You will always know you are delivering a superior product when using the best oil services available to you. Also you may support our mission to manufacture and supply eco-friendly biodiesel fuel to New York City by frequenting the restaurants on our service roster. For more information about our array of waste oil recycling and removal services, please contact us today. The number to call is 718-495-5604. We will gladly answer any questions or concerns you may have about our products. Biodiesel is an alternative fuel that is cheaply produced and freer of harmful chemicals and carcinogens than your normal sulfur-laden diesel. The manufacturing of clean biodiesel is also a simpler process than rendering it from contemporary fossil fuels and burns much cleaner as well. All this from your standard waste fryer oil? Who knew? Our biodiesel has reduced carbon dioxide emissions by about 14 million pounds. Biodiesel is an alternative fuel that reduces global-warming-causing gases and asthma-causing particulate matter. We can all have an impact on the environment by regularly recycling our used cooking oil for use as an alternative fuel (biodiesel) in our city buses and government vehicles. By choosing to partner with EnviroGreen, restaurants agree to donate their waste vegetable oil to the foundation in return for free collection and recycling services as well as tax forms stating the amount of gallons donated throughout the year. Many restaurants can receive up to a $5000 tax deduction. Deductions over $5000 will require a third-party appraiser. When it comes to the disposal of waste oil, trust no one more than EnviroGreen. New York City and Long Island requires all used cooking oil to be recycled by a licensed and insured company like EnviroGreen Services or face fines of to $10,000. 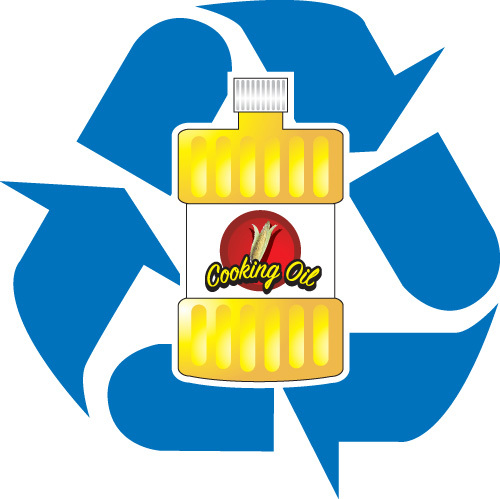 All used cooking oil is recycled according to strict Department of Environmental Protection regulations. Thanks for your interest in our COOKING OIL COLLECTION, REMOVAL AND RECYCLING SERVICES. Please click to learn more about GREASE TRAP CLEANING. Drums can be picked up or pumped out. can be picked up upon request at agreed-upon intervals.